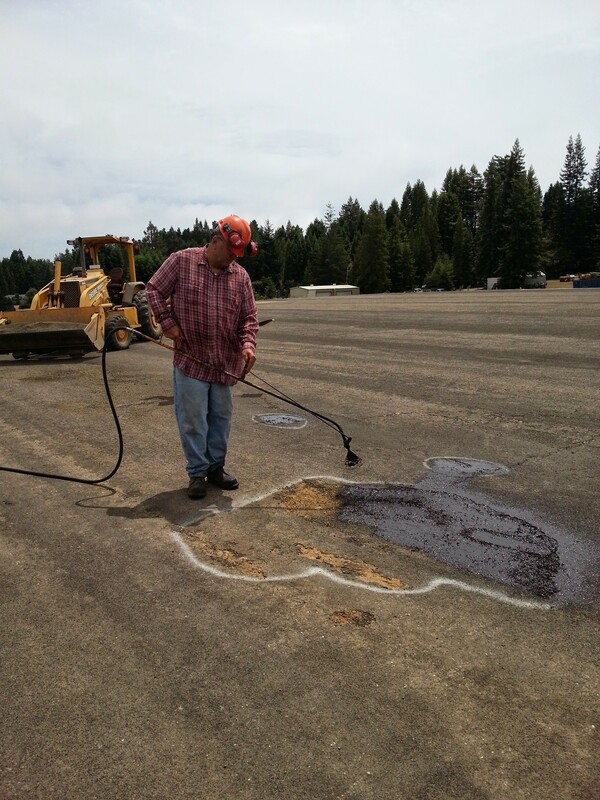 The airport resealing work was officially completed at the end of July. But we are still awaiting formal approval of the work by CalTrans to indicate that the owner met the terms of the mandated repair order. The inspector who issued the letter last year no longer works at CalTrans. An interim inspector informed us that the airport’s status will be reviewed during its annual inspection this month. Before the prep work began we were in contact with the interim inspector to ask many questions about the repairs and the runway markings to ensure that we were doing it all according to FAA standards. Here are some before and after photos to show the improvements. 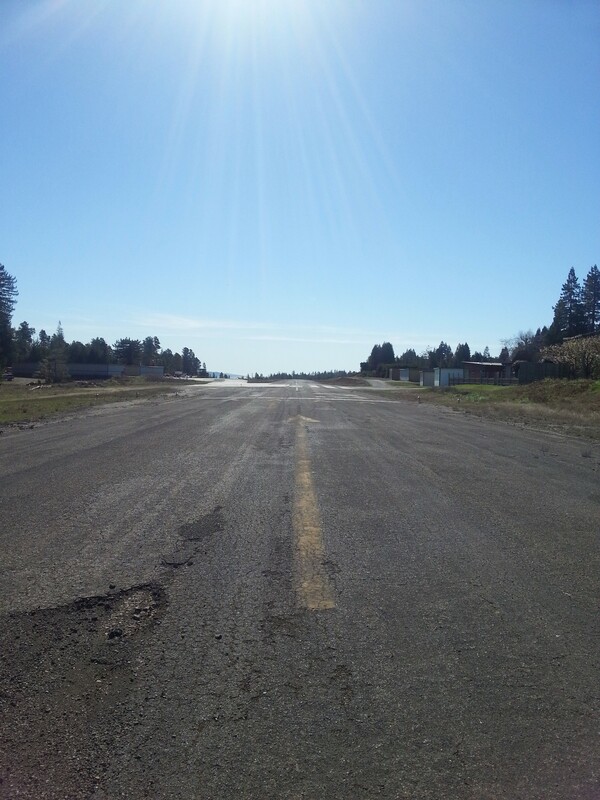 Here you can see yellow markings and damaged aspalt on the runway. 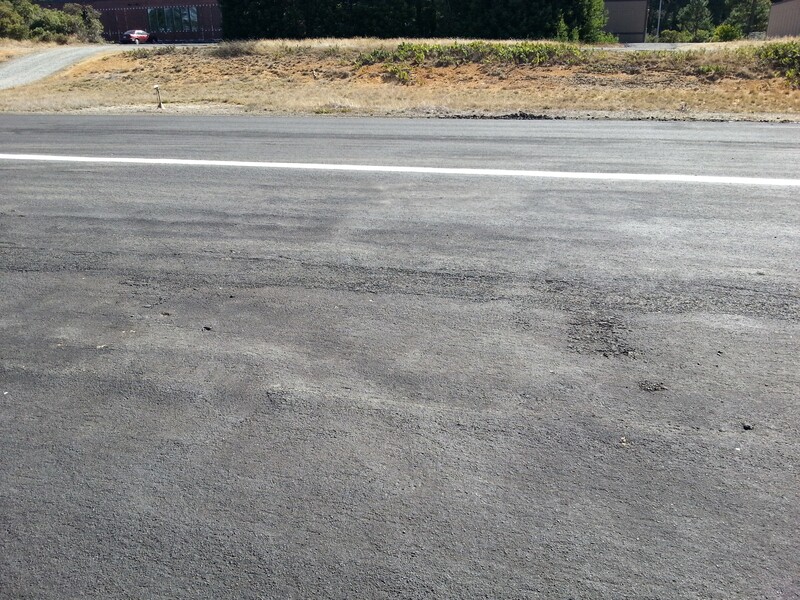 You can see that the shallow and damaged areas of the runway have been filled in and resealed, resulting in a smooth and debris-free surface. 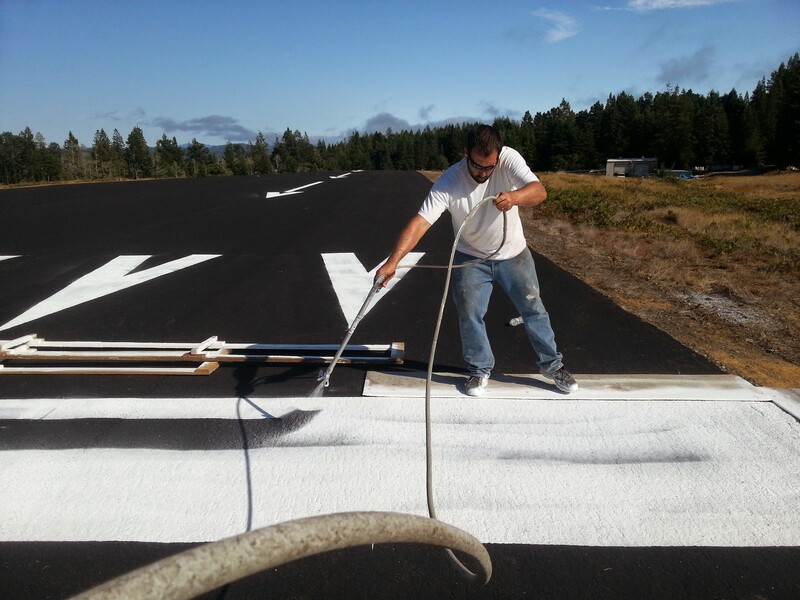 Runway markings were brought up to FAA standards for our type of airport with all white paint. We will post an update again when we have the results of this year’s annual inspection. Until then, fly safe everyone! Well done, folks. Caltrans staff have been supportive in all my dealings with them, including the new person assigned to the region around Ocean Ridge. Best wishes.